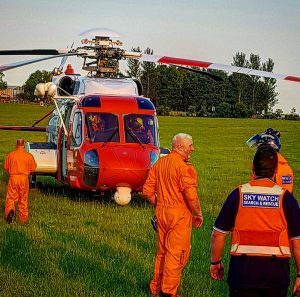 Sky Watch NI have spent the first half of July working with the Northern Ireland Fire and Rescue Service. 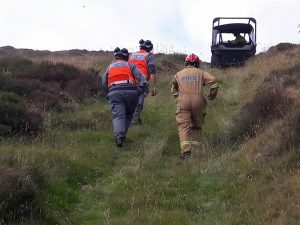 It all started on the 26th June when we were tasked by the fire service to attend a wild land fire close to the Glenshane pass which had been going for a few days. We worked closely with the fire service, Forestry service and Rescue 116 the Coastguard Helicopter. Call number two came a week later this was to a peat bog outside Rasharkin on 4th July. 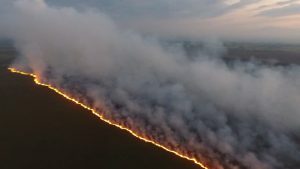 We could see the smoke from miles back as we drove to the incident, The fire was smoldering more than flames but as daylight subsided the flames intensified. 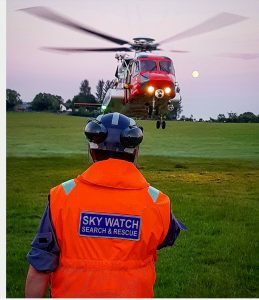 Due to the long duration of this incident the Sky Watch NI team worked in shifts, this was the first time we had to deploy a shift pattern. The evening shift got this impressive image. We were at Rasharkin for two days. By the evening of day 2 the fire was well under control. Our third call out found us at the South Eastern part of the country. We were once again deployed but this time to Meigh. We liaised with the Incident commander to discuss the concerns.We were were on scene for two days. While dealing with the main fire we could see plumes of smoke from other sites in the distance. We spent the day videoing the fire spreading through the tree line and thanks to Mourne Heritage Trust for ferrying us and our kit around. Properties were safe and we were eventually stood down.Little did we know we would be back the next day. Day one we were listening to the trees burning they were going off like a match that had just been struck. 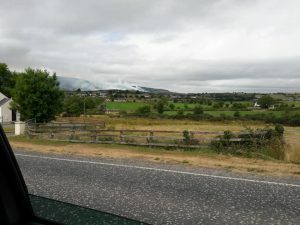 Day two the Irish Army Air Corps were called in to help with the fire. 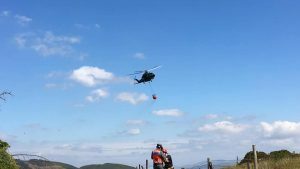 They brought a 1200 litre Bambi bucket and two helicopters this enabled them to dowse the fire with water from the nearby Camlough Lake.We worked closely with the helicopter crews and this is not the first occasion we have had to share airspace with a full sized aircraft. Copyright © 2019 Sky Watch NI All Rights Reserved.